Home Opinion and Editorial Is Connor Smallnut a Racist? Is Connor Smallnut a Racist? Racism. It is, and always has been, a prevalent issue in society, and people are very sensitive to it. It comes from every direction, and members of every ethnic group are guilty of it. People often become outraged at perceived racism in the media, with good reason. Racism has no place in our modern global community. Nick Cannon. He is, and always has been, present in our lives, or at least those of us who pay attention to America’s Got Talent. He’s been a rapper since his teens, and his television career has had him hosting shows on MTV and Nickelodeon. Pretty soon he’ll be a host of the next big international reality TV talent show, World’s Got Talent. Now why do I bring up racism and Nick Cannon in the same breath? Why, it’s because of Connor Smallnut! For those who are confused about what they’re seeing here: Nick Cannon has a new album coming out on April 1 called White People Party Music. Naturally, the best way to go about promoting his new album was to gussy himself up in whiteface and parade around the Internet, tweeting and making videos of himself as “Connor Smallnut” (yeah, you read that correctly). Well, it certainly could be taken that way. 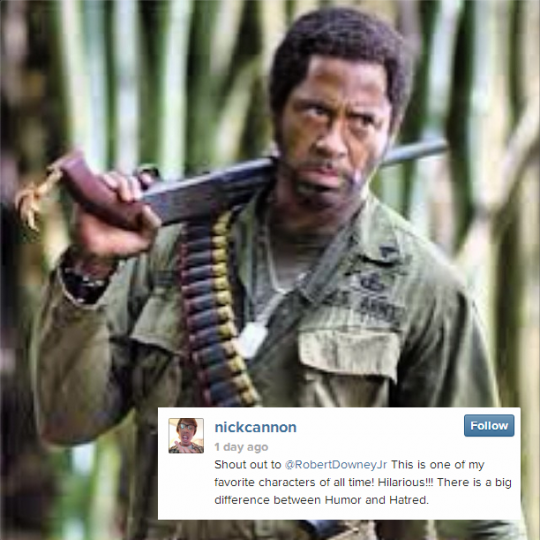 I mean, blackface is definitely considered racist, historically speaking. Blackface [link to Wikipedia] is a form of theatrical makeup that has been used for centuries as a way for white performers to caricature black stereotypes. 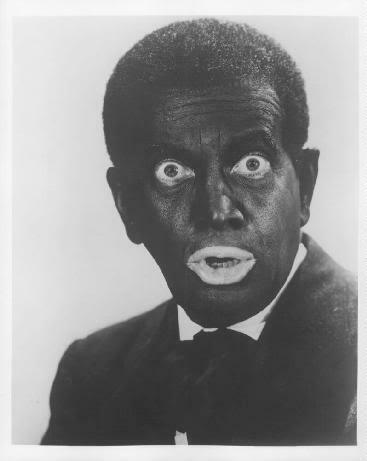 It was prevalent in film, ballet, and comedy minstrel shows, which are particularly significant as persecution of black because the main joke in a lot of these was essentially that “black people are stupid.” Blackface continued to pervade popular culture in advertisements and cartoons as late as the 1950s, when the NAACP (National Association for the Advancement of Colored People) began to campaign against the offensive imagery. A white actor in blackface. Let’s take a step back, though. 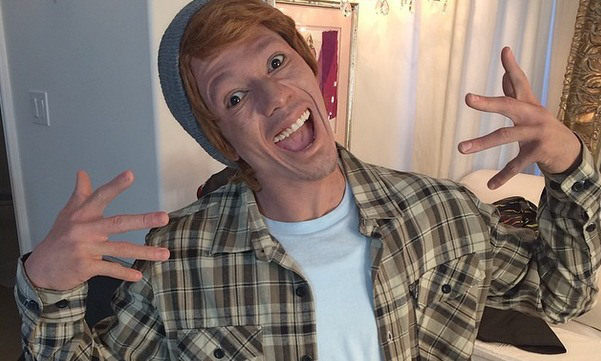 Nick Cannon’s whiteface definitely does not carry the same connotations as blackface; historically, whites have not been heavily persecuted by ethnic minorities. Blackface was used to put down the black community as a whole in a time where blacks did not have equal rights in our country. Yeah, I guess so. It’s kind of funny, too. 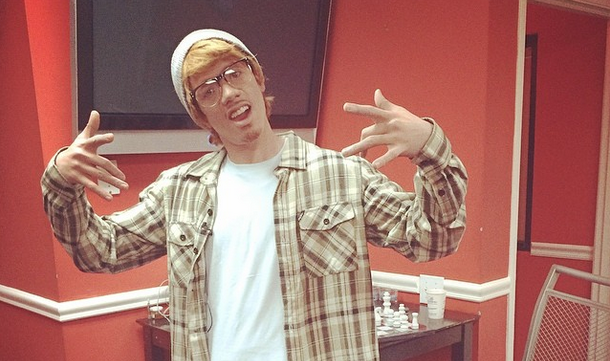 There are definitely some stupid “white guy” stereotypes that Cannon uses. Have you seen his Instagram videos? That goofy accent, bro! Do I think Cannon is being dumb? Well, yes. But if there’s one thing everybody loves, it’s watching celebrities act dumb. It’s entertaining. Cannon’s goal is to promote his new album, and he’s doing a fantastic job. As a white person, I do not in any way feel persecuted by Connor Smallnut. So what do YOU think about this stunt? Is it racist? Is it all in good fun? Comment below and share the story with your friends!